Javik, the “Rainbow Fish” was the biggest challenge! Javik is a quite special character from Mass Effect 3 and the only known survivor of a ancient race called the Prothean. He is also quite special because of his look which is most likely not as easy to illustrate than the human characters. 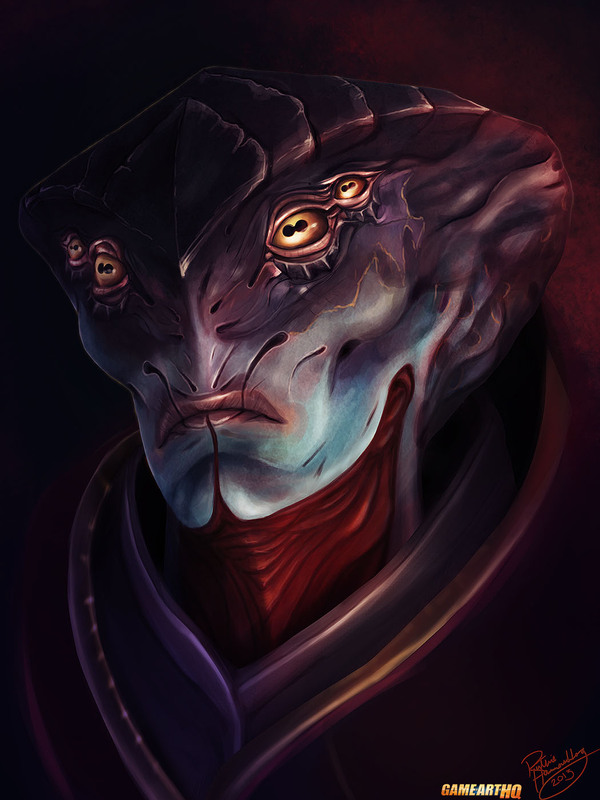 Ruthie Hammerschlag who drew the whole cast of Mass Effect Trilogy Protagonists in a series of portraits mentioned that Javik was her biggest challenge so far. Please click on the portrait of Javik to see the many small details Ruthie included in her artwork.